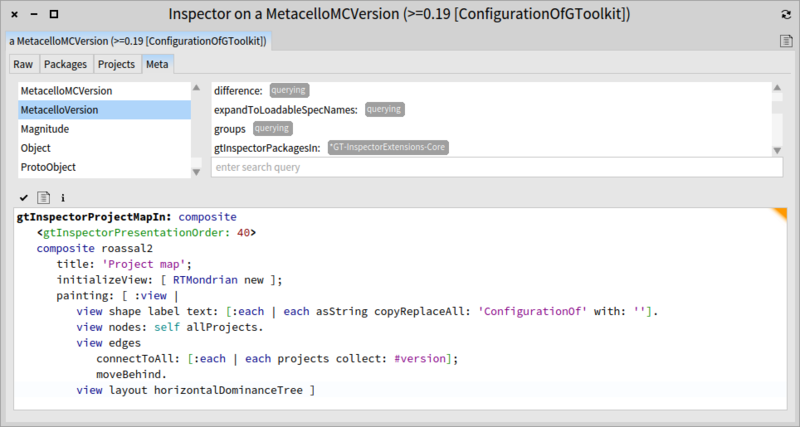 When releasing the latest version of the Glamorous Toolkit we noticed a little problem: while in Pharo 4.0 the code worked just fine, in Pharo 3.0 we got a problem due to a reference to a class that exists only in Pharo 4.0. 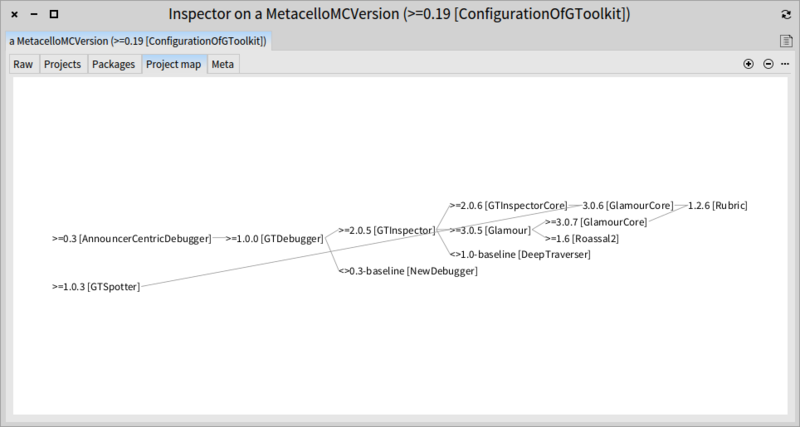 The problem came from the GlamourCore project, but I could not exactly see where the problem lies given that the dependencies are deeply nested. The problem was that GlamourCore appeared twice: once with the 3.0.6 version and once with the 3.0.7 version. After a brief inspection, it became clear that 3.0.7 is the correct version. All that was left to do was to update the corresponding configuration dependencies. view shape label text: [:each | each asString copyReplaceAll: 'ConfigurationOf' with: '']. 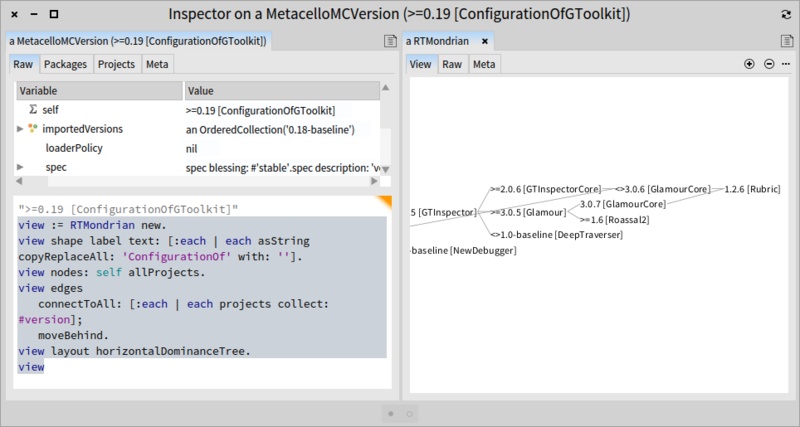 To install the method, I did not have to leave my object but wrote the code right in the inspector. 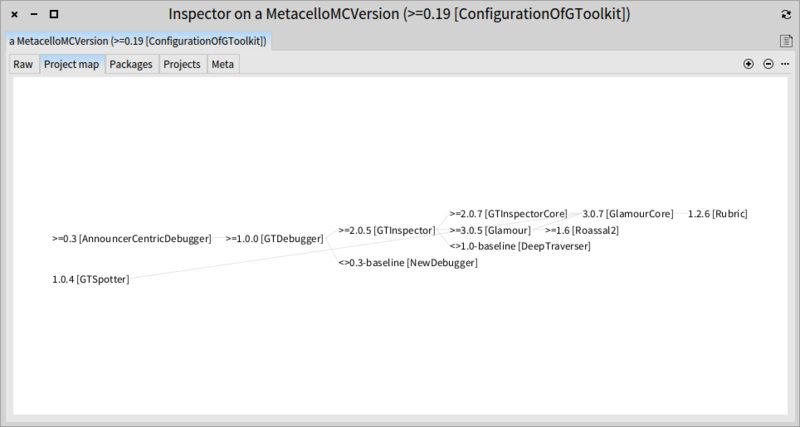 After installing the new method, the inspector automatically updated itself and the visualization was ready to be used. The whole scenario was measured in minutes. In fact it took more time to write this post than to do the job.